You may have noticed my absence on my blog over the past week or so. This is because I have been busy working away, seeing friends and preparing myself for the next two weeks, because later on today I will be getting on an airplane and jetting off to Singapore! I am super excited as not only is it going to be my first time in Singapore, but also the first time I will have seen my dad in two years since he made the big move to Asia for work. I have vowed to continue blogging whilst I am there so be prepared for lots of outfit posts with breathtaking backdrops and updates with an abundance of food pictures and tourist selfies. 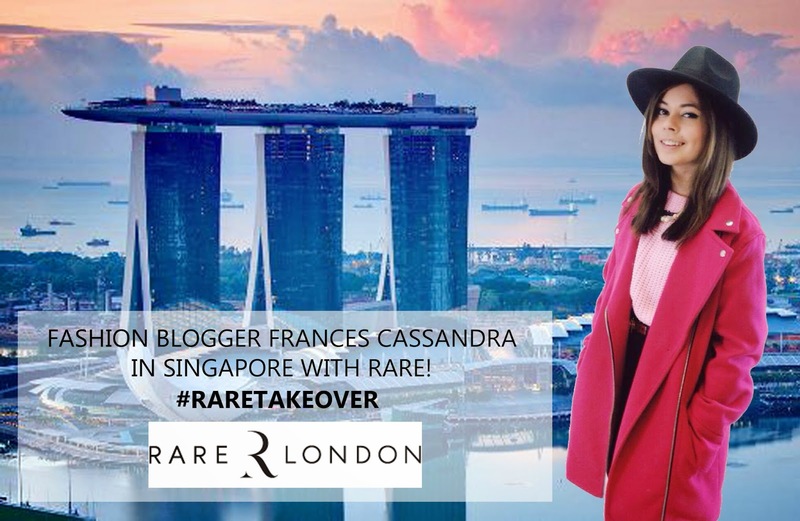 I am also excited to be teaming up with Rare London whilst I am away and taking over their Instagram account to give you a little peek of the fashion, the food and the amazing sights! Join us on my trip and follow them at @officialrarelondon! This sounds so exciting, hope you have a lovely time!